The region known as the Balkans is an important nexus between the east and the west and has been a complex crossroads of clashing cultures for centuries. I apologize in advance for misunderstandings and oversimplifications I have of the history of Croatia, yet some background is important to better understanding the place today. This is a short history of Croatia and has been researched from many sites online, both detailed and general, with thanks various scholarly articles as well as tourist snapshots provided by Rick Steves’ Europe and Lonely Planet. Any and all errors are mine. It is limited and compressed by design, and only intended to paint a very broad picture of the long history of the area. It is also a stark reminder of how short the written history of Canada is by comparison. Not including existing evidence of prehistoric man in the Neolithic era (6000-2000 BC), Croatia can trace its history back to the Illyrians (Indo-Europeans), who began migrating into the region around 1000 BC. Later, the Greeks and then the Romans pushed their way into the land now known as Croatia, and by 11 BC, Rome conquered much of the interior and ruled for five centuries. 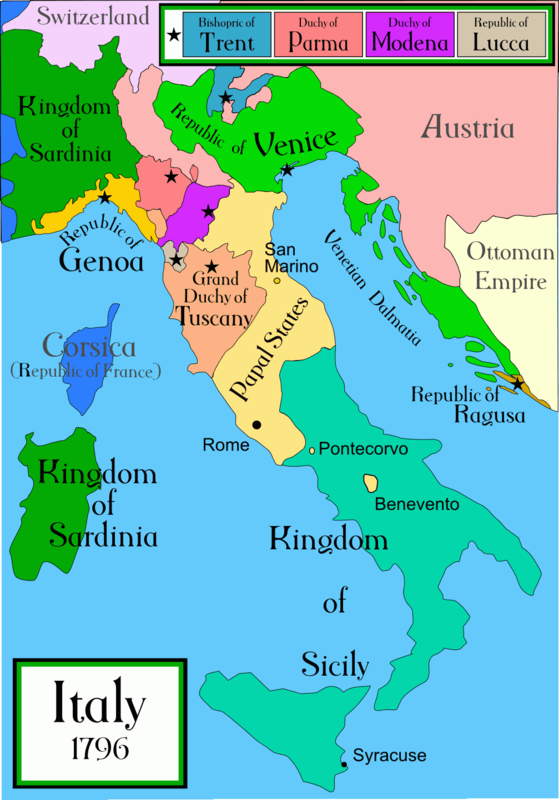 The area was organized into Dalmatia on the Adriatic coast and Upper and Lower Pannonia, which covered much of the interior of modern Croatia. Croatia eventually became two general historical regions - the Adriatic coast or Dalmatia and Croatia proper or Slavonia (although other distinct regions exist). The history of the Balkans and Croatia includes thousands of years of conquerers, kingdoms, fragile coalitions, the powerful influences of Catholic, Eastern Orthodox and Muslim churches, monasteries and mosques and war. This included Greeks, Romans, Venetians (who ruled much of Dalmatia on the Adriatic coast with an iron-fist for 700 years), Turks or Ottomans, Austro-Hungarian Habsburgs, Napoleon and the French and again the Austrians and Hungarians and, after their arrival in the 7th century, ever changing alliances of clans and tribes of Southern Slavs. The influences of this history can be seen in the incredible street and city designs and architecture found in Croatia today, including Roman amphitheaters, castles, walled fortresses and remarkable Neolithic, medieval, Romanesque, Gothic, Renaissance and Baroque examples. During the 8th century the Dalmatian and Pannonian Croats organized themselves around powerful clans, one of which was called Hrvat (Croat), a name that the clan gave to its territory in central Dalmatia, Bijela Hrvatska (White Croatia). Throughout the history of the region, alliances changed and wars erupted, towns were burned, churches and monasteries plundered and tens of thousands of citizens were killed or forced into slavery. There were also small pockets of independence, examples including areas around Zagreb and Ragusa (Dubrovnik), due to their fortified walled town centers that were difficult to penetrate. By the 19th century, one of the effects of dominating foreign rule was to create the first stirrings of a national identity among the southern Slavic people. Traditionally, upper-class Dalmatians spoke Italian, and northern Croats spoke German or Hungarian. The sense of a shared identity first found expression in the 1830s and centered on the revival of the Croatian language that prompted calls for the teaching of the Slavic language in schools and even for the unification of Dalmatia with Slavonia. At the same time as dreams of a united Croatia were emerging, the Eastern Orthodox Church was encouraging the Serbs to form a national identity based upon their religion. A spirit of unity grew, and by 1906 Croat-Serb coalitions had taken over local government in Dalmatia and Slavonia, forming a threat to the Hungarian power structure. 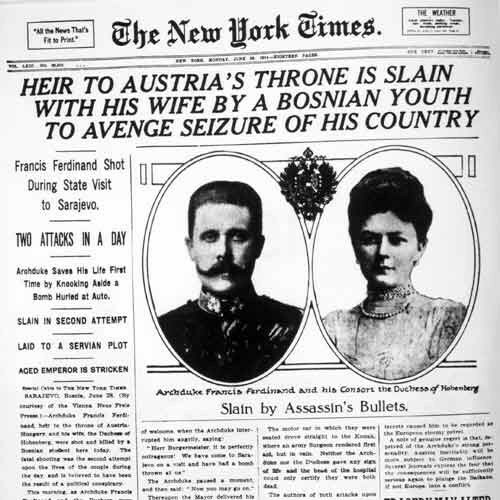 World War I erupted after a radical Bosnian Serb nationalist — with the aim of uniting the South Slavs — killed the Austrian archduke and heir to the Habsburg throne during a visit to Sarajevo. This triggered a chain of events and caused Europe and the world to descend into The Great War. During the war, the Serbs fought alongside England and France with the Allies, while the Slovenes and Croats, as citizens of the Austro-Hungarian Empire, were compelled to take up arms against them. When the Austro-Hungarian Empire fell at the end of World War I, the map of Europe was redrawn. After centuries of being governed by foreign powers, many Slav leaders pushed for the creation of an independent South Slav state, rather than be absorbed by a non-Slavic power. The South Slavs joined together to form the Kingdom of the Serbs, Croats and Slovenes (1918). This was later known as the Kingdom of Yugoslavia (1929) or Land of the South Slavs (yugo means south). Yugoslavia was born, but this new union was fragile. 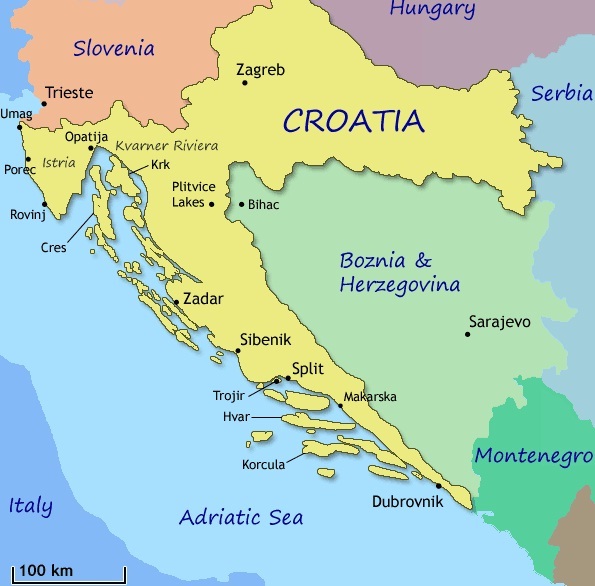 The Croats, Serbs and Slovenes remained cautious of one another’s intentions but they were more suspicious of the Italians, who laid claim to many of the important coastal cities of Dalmatia. They chose to align with one another over Italy. 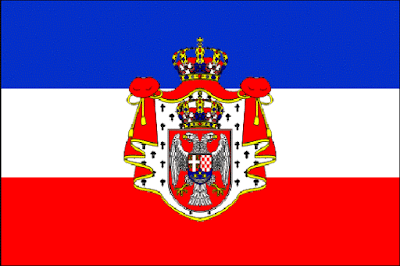 The flag of the Kingdom of Serbs, Croats and Slovenes (similar to flag of Serbia today). The tenuous coalition was immediately fraught with problems as nationalistic leaders among both Croats and Serbs led to distrust, tension and a few assassinations. From the very beginning, the various ethnicities struggled for power within Yugoslavia. The largest group was the Serbs (45%), followed by the Croats (25%). Croats often felt they were treated as lesser partners under the Serbs. Croatian extremists formed the notorious Ustaše Liberation Movement and nationalistic Serbs created a group known as the Četniks (Chetnicks), a fierce Serbian paramilitary force who embraced the skull and crossbones symbol and the slogan “liberty or death”. Both sides used brutal violence to kill one another. The Ustaše worked with the Nazis in WWII and set up concentration camps to wipe out Serbs, Jews and others while the Četnik formations soon led massacres of Croats in eastern Croatia and Bosnia. Another fighting resistance group that emerged during WWII were the Partizans, led by Josip Broz, better known by his nickname, Tito. 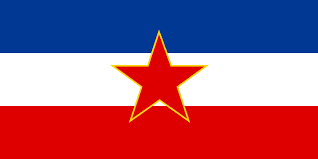 The Partizans wanted to liberate Yugoslavia from the Nazis and create a new communist state. After years of intense guerrilla fighting and with the eventual support of Churchill and the Allies, the Partizans emerged victorious. Indeed, as the rest of Eastern Europe was being “liberated” by the Soviets near the end of WWII, the Yugoslavs won independence on their own. Soviet troops passed through the Balkans in pursuit of the fleeing Nazis, but were not welcomed. After a precarious Yugoslav union was first created between the World Wars, Tito proved to be the one man who could actually unite the South Slavs. As a war hero and Communist party leader, Tito emerged as a political force after World War II. Born in Croatia with a Croatian father, Slovenian mother, Serbian wife, and a home in Belgrade, Tito represented a true Yugoslav. Tito had a compelling vision that this splintered alliance of the South Slavs could function. Tito’s vision of Yugoslavia lasted over 40 years and was made up of six republics each with its own parliament and president, and two autonomous regions. Serbia (mostly Orthodox Serbs) was home to the national capital in Belgrade, Croatia (mostly Catholic Croats), Slovenia (mostly Catholic Slovenes), Bosnia-Herzegovina (mostly Muslim Bosnians, but with large Croat and Serb populations), Montenegro (mostly Orthodox) and Macedonia (with about 25% Muslim Albanians and 75% Orthodox Macedonians). Within the Republic of Serbia, Tito also established Kosovo in the south (mostly Albanians) and Vojvodina in the north (mostly Hungarians). "Brotherhood and unity" was Tito's motto, and any form of regionalized nationalism was strongly discouraged and Tito’s sometimes oppressive control kept the country from unraveling. The celebrated “Partizans” and later the Yugoslav People’s Army (JNL) were portrayed as heroes to future generations (taught daily in schools), but they eventually became quietly distrusted by many. They were ruthless in rooting out and imprisoning, expelling or killing anyone deemed to be a ‘nationalist’ or an ‘enemy’ of their vision of Yugoslavia. This included suppressing the Catholic Church that was so important to most Croatians. While many considered him an effective and ‘benevolent dictator’, Tito was a controversial figure and prominent dissidents, including many who had left the country, are believed to have been killed by Tito’s “murder squads”. Tito was a very skilled political leader. Yugoslavia was communist, but it wasn’t Soviet communism; there are no statues of Lenin or Stalin. Despite constant pressure from Moscow, Tito broke away from Stalin and refused to ally himself with the Soviets. As this was the peak of the Cold War, he also received good will and over $2 billion in aid from the United States. Tito cleverly played the West and the East against each other and received support from both. The fledgling nation prospered and Yugoslavs had the unique ability to travel freely both in the west and the east, rare in the period of the Cold War. With Tito’s death in 1980, the fragile union he held together started to unravel. The concentration of power in Belgrade had long been a contentious issue as it became apparent that money from the more prosperous republics of Slovenia and Croatia was being disproportionately distributed to the other republics. The problem was magnified in Croatia, which saw money from its prosperous tourist business on the Adriatic coast flow into Belgrade. At the same time, all over the country Serbs were over-represented in the government, armed forces, police and state-run businesses and this became a source of great tension to non-Serbs. By the late 1960s, Croatian writers wanted more freedom and in 1971 Croatian protestors rallied for more autonomy in what was known as the “Croatian Spring”. This was squashed by the Yugoslav army and leaders were arrested. Many had grown tired of four decades of communist rule, as with all communist states of this time, those in power lived more like kings than socialists, including Tito. The late 1980s was also a time when the Communist bloc was crumbling across Eastern Europe. The breakup of Yugoslavia began in the late 1980s in the province of Kosovo between the Serb minority and the Albanian majority. The Serbs consider Kosovo the cradle of their civilization — the medieval homeland of their most important monasteries and sites. But by the 1980s, 90% of Kosovans were Albanian, and the few Serbs living there claimed they were oppressed. When nationalistic Serb leaders annexed Kosovo, other republics, especially Slovenia and Croatia, moved toward legislated secession and the country began to fall apart. In the summer of 1991, Croatian independence was quickly supported by Pope John Paul II and he pressured Germany and other influential nations to recognize Croatia. Today, Croatia is considered by many to be the “most Catholic country in Europe” with estimates of over 90% of citizens identifying themselves as Catholic. What started as a peaceful process disintegrated rapidly and much blood was shed, especially in parts of Croatia and Bosnia-Herzegovina. Like almost all civil wars, there were no clear-cut good vs. bad or right vs. wrong. The west-supported Croatians believed they were fighting for independence from a centralist, communist regime that was increasingly controlled by Serbians, who were largely Orthodox. The Serbs believed that they had been victims since their grandparents were executed in Ustaše concentration camps and moved out of traditional Serb territories or were simply protecting Serb minorities in other republics. Over the ten-year civil war (1991-2001), both sides resorted to genocide, both sides had victims, and both sides had brutal military leaders and, at times, the tactics were fierce and inhumane. Croatia became a member of NATO in 2009 and today, Slovenia and Croatia are full members of the European Union and are as stable as most of Western Europe. The former Yugoslav Republic of Macedonia as well as Montenegro and Serbia are candidate-countries applying to enter the E.U. and Bosnia-Herzegovina applied in 2016. The E.U. requires member nations to have stable governments, economies, justice systems, rules of law, public administration and political institutions to be considered. The seventh country to emerge from Yugoslavia, Kosovo, is a fledgling democracy. However, some observers consider the Balkans a place where historic hatred and ethnic passions will unavoidably flare up, and the potential for future conflict smolders. While increasingly less common, some still obsess about vengeance for wrongdoings that happened decades or centuries in the past. Many regions are struggling economically and wrestling with the transition from bogged down, socialist bureaucracies and ways of thinking. Croatia and Slovenia continue to have border disputes, Bosnia-Herzegovina struggles under inefficient governance, and Serbia occasionally hints they will reclaim Kosovo. When the people of this region encounter others in their travels, they will quietly evaluate each other’s accent to determine, are they one of us? The Croatian flag with the chessboard coat of arms and five crests symbolizing (from left to right) old Croatia, Dubrovnik, Dalmatia, Istria and Slavonia. Despite all of this, the transition to independence and NATO and E.U. membership in less than 15 years has been remarkable and, despite challenges, the country is developing and growing rapidly. Croatian people are self-aware, resilient, capable and well educated. The country is beautiful and the combination of diverse architecture, stunning landscapes, warm sunshine and the pristine Adriatic Sea have made Croatia a “must see” travel location for people around the world.